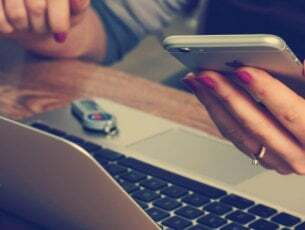 There are many folks that don’t like Windows 8 simply because the Start button is lacking or just because they don’t adapt to the new Modern touch user interface. But is Windows 8 that bad that it would make some keep using Windows Vista? Apparently, this is true in quite a lot of countries. 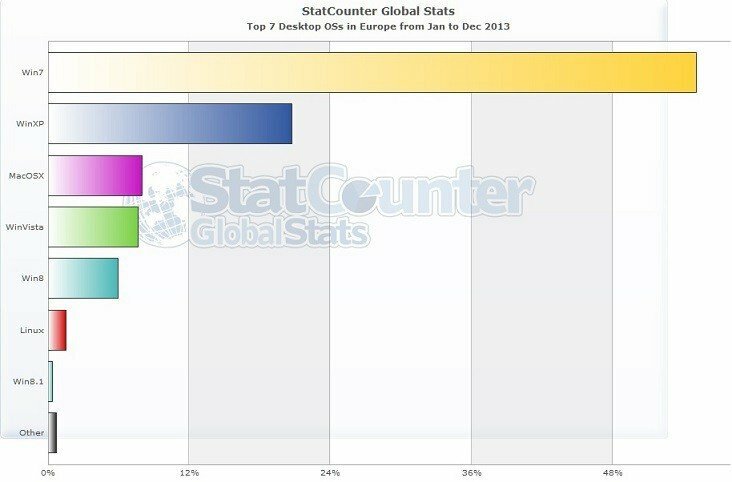 2013 has come to an end and StatCounter has available interesting data when it comes to the market share of operating systems. 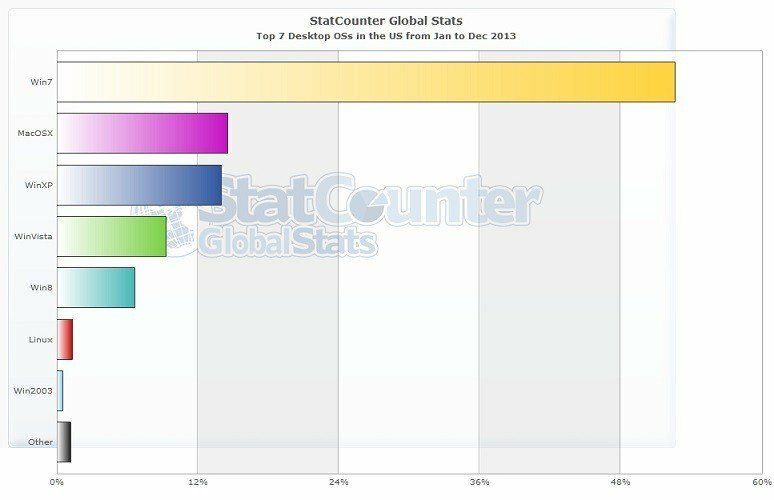 There are interesting statistics that you can get on StatCounter’s website but we focused on comparing Windows Vista and Windows 8 market share and we found that in the United States and in Europe, Windows Vista is ahead of Windows 8. This is true for the entire continent of North America, actually. The period that we have selected is January 2013 – December 2013. In the United States, Windows Vista had a market share of 9.29% compared to Windows 8’s market share of 6.6%. In Europe, Windows 8 managed to obtain only 5.95% of the operating systems market while Vista had less than in the United States, 7.67%. Mac OS X was above Windows Vista in both geographical locations, as well. Windows 7 still remains the absolute leader, being followed by Windows XP. On a worldwide scale, though, Windows 8 has managed to surpass Windows Vista, with 6.12% compared to 5.85%. So, this means that it wasn’t Europe and North America which drove the Windows 8 adoption, but the rest of the world. The data provided by Stat Counter only covers desktop PCs laptops.